Join me as I follow in the footsteps of James Cook and Captain Kirk and bring you my very own captain’s log, reporting on my adventures at Ocean Star Sailing Academy. What’s coming your way is not the “I woke up, had a bowl of Rice Krispies and then brushed my teeth” kind. Rather, it's the sort that ought to inspire you to go on to be your own commander and also remind you of the oceans of fun available to you in your own backyard. There is a place hidden in the heart of the V & A Waterfront that will open up the world of sailing to you. 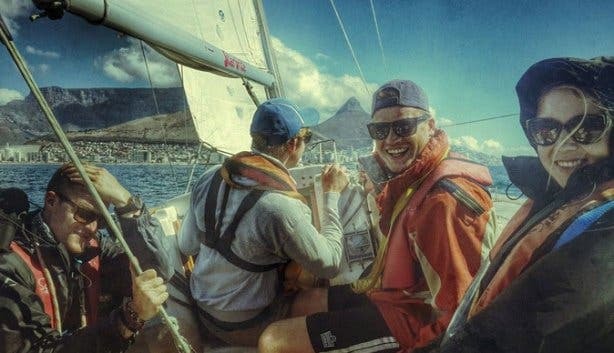 Established in 2007, the Ocean Star Sailing Academy is the Hogwarts of its trade, offering theoretical and practical maritime training in Cape Town. You may be a rookie without sea legs when you walk in but you will walk out a wizard of the water. Have you ever dreamed of going on an epic adventure, of sailing the seven seas (queue the Eurythmics’ “Sweet Dreams”)? No? 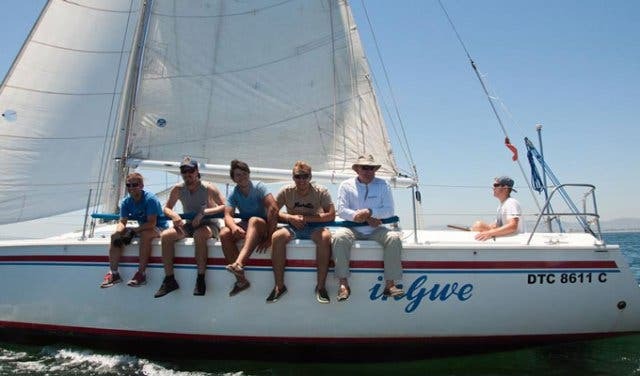 Even if a gap year or change of scenery were never things you’d considered before, a course with the Ocean Star Sailing Academy could change all that. Their courses ready you for what could be an unforgettable experience while you meet amazing people, have the best time and learn a lot about yourself in the process. 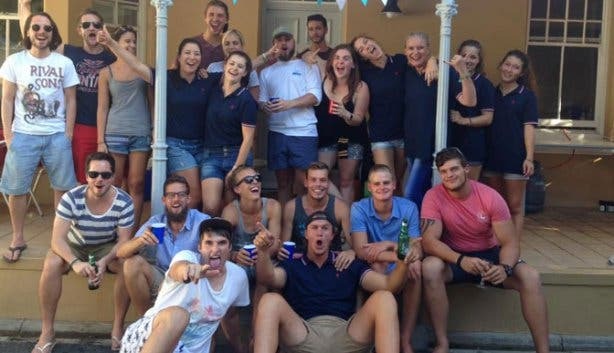 Their focus is on getting you onto the Superyachts, with the aim of guaranteeing that you will be able to dive right in and seas the day while knowing that you’re fully qualified to secure a job (that conveniently pays in forex). The nautical puns are out of my system. I promise. 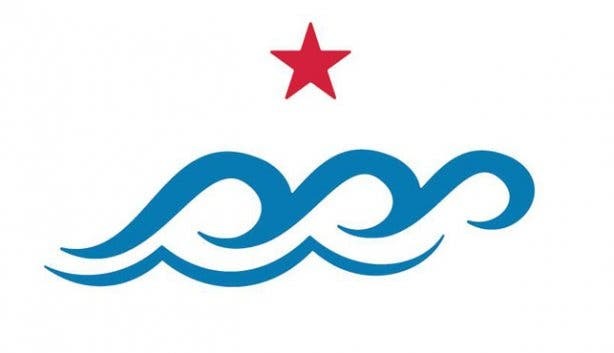 If a life at sea is something that you’ve been curious about then look no further than the Ocean Star Sailing Academy. They cover everything from getting you ready to be a junior stewardess or deckhand to training you as a chef capable of preparing spectacular three-course meals on-board billion dollar superyachts. 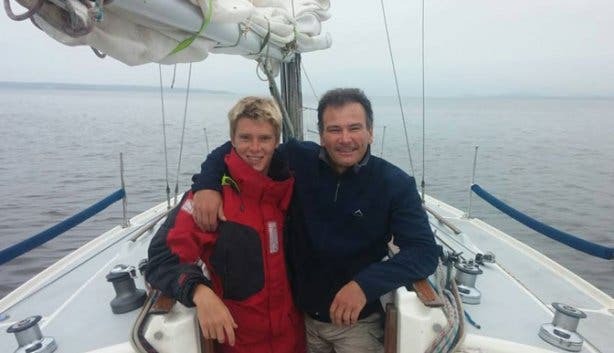 You can also go for the big-time and do the Yachtmaster Coastal course that will turn you from complete rookie into someone with the ability to handle a sailing boat in just three months. 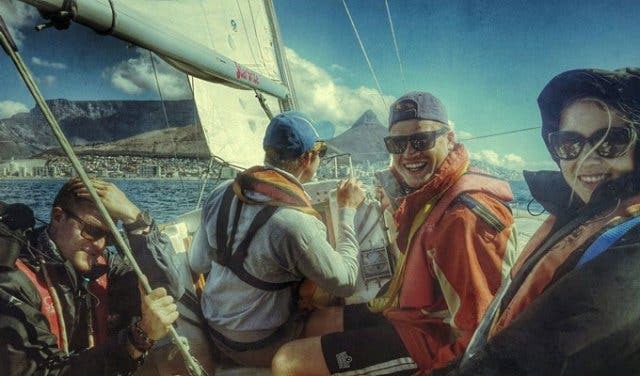 As part of the Royal Yachting Association with full SAS accreditation, the Academy is South Africa’s leader in career guidance and training for the international super yachting industry. And just a little FYI, it is the only one of its kind in the country that offers the option of accommodation while courses are being conducted. 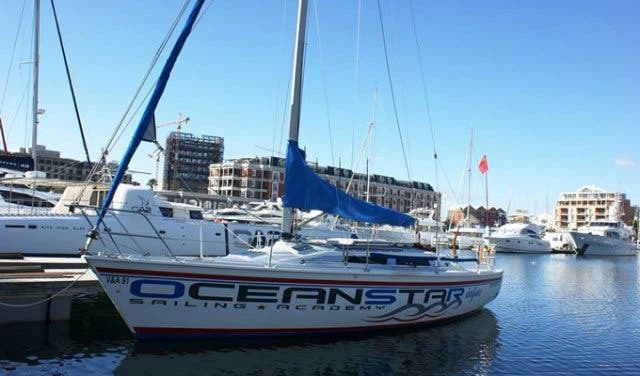 Ocean Star Sailing Academy will not only help you qualify to operate a superyacht but also offers all the activities to guarantee that you have a whale of a time (yes, yes, I broke my promise) in the ocean. 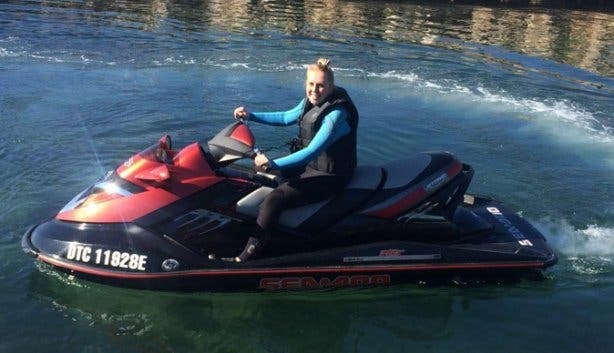 Being a sucker for speed and power, my favourite offering has to be Ocean Star Sailing Academy’s Jetski Orientation. 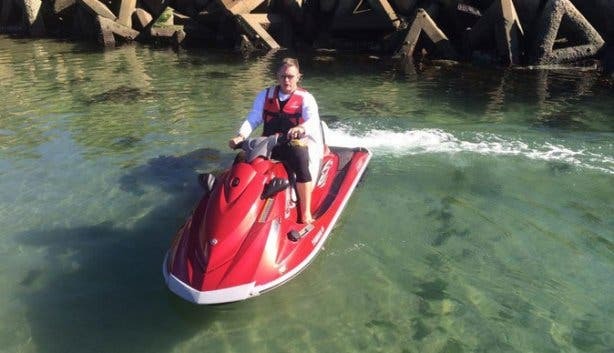 You get one hour to play within the safe zone of the V & A Waterfront harbour with an instructor who will teach you all you need to know about operating a jetski. I’m also very excited to be able to tell you that they currently have a two-for-one special running on the Jetski Orientation. For those who prefer something bigger but just as fast, you can try out the Academy’s two-hour power boat ride. You’ll have one of two 5.8m boats exclusively for you and four other friends plus a skipper and a full cooler box with drinks and snacks on board. The power boats are sporting up to 150hp so be sure to get that sip in before the throttle is pulled. If you’re an avid fisher or are actually just keen on an ocean safari while your rod-wielding friends keep busy, you should definitely do the four-hour fishing trip around Robben Island. Sightings of whales, dolphins, seals and sunfish are frequent while the waters are rich in yellowtail. 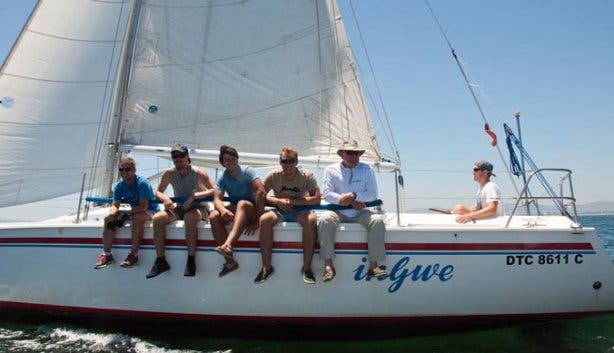 The guys at Ocean Star Sailing Academy provide you with everything from a fishing rod to a fish finder and make sure you stay refreshed with a cooler box full of drinks and lunch packs. Lastly, I was lucky enough to be present at the activation of a newly introduced Photographic Charter and cannot wait for you to try it out! 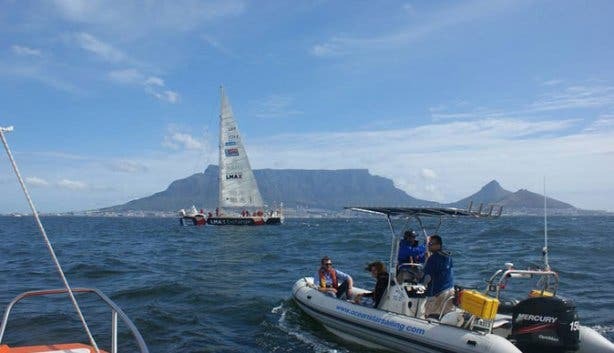 Designed specifically for those of you with cameras and a passion for photography this two-hour long charter will allow you to not only grab a unique shot of our beautiful city from the Table Bay Harbour and surrounds but also guarantee you that National Geographic shot of our marine-life! Captain’s Log Day 4: I’m Glad to See You’re On Board. To conclude, what I’ve learnt here is that I can’t keep promises when sea-puns are involved but I’m also sure you’ve gained a whole lot. There is no denying that the Ocean Star Sailing Academy should be your number one choice for exploring the Mother City’s waters or a career at sea – the only thing left to do now is book! Tip: Fishing Charter Special: 10% discount for Cape Town Magazine readers every Tuesday until end December 2016. To qualify you need to mention CapeTownMagazine.com when you book. 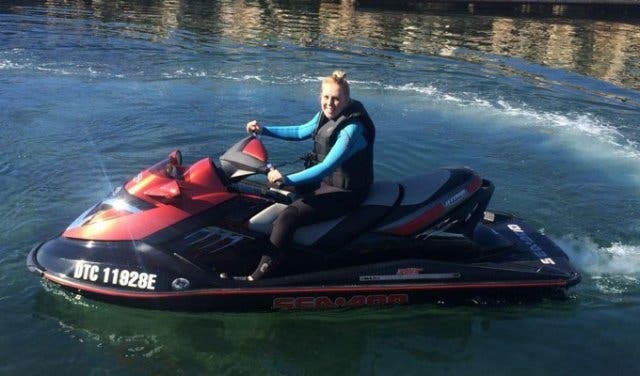 1- hour Jetski Orientation: R1650. p/p per jet ski. An extra person on the jet ski will cost you R100 more. 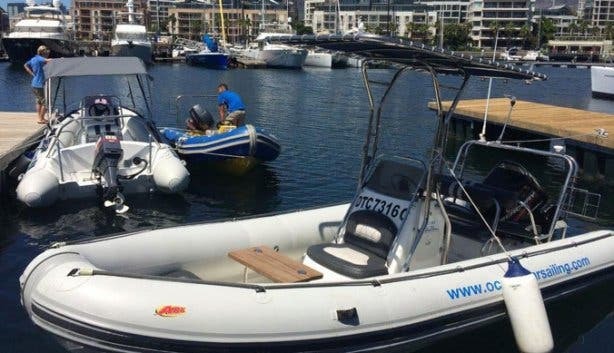 2- hour High-Speed Power Boat: R3850. Max 5 people (includes drinks and snacks). 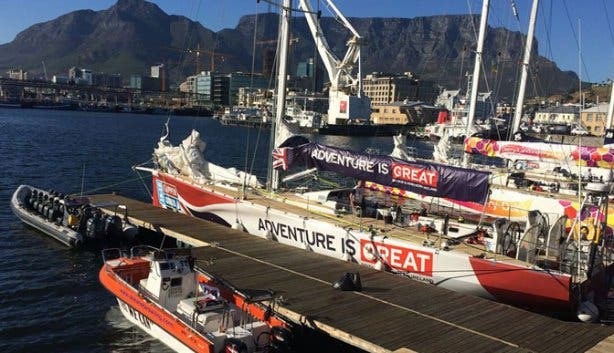 Check out the all-new Cape to St Helena yacht race in December 2018.